The Creativity team would like to congratulate all nominees of the 72nd addition of the BAFTA Awards. Of course we are most excited to congratulate our very own “McQueen”, a double BAFTA nomination for both “Outstanding British Film of the Year” and “Best Documentary”. Directed by Ian Bonhote and co-directed and written by Peter Ettedgui, McQueen tells the story of legendary British fashion designer Alexander McQueen’s life and career. This celebratory documentary includes exclusive interviews with his closest friends and family, archive footage, stunning music and visuals to explore his inspiring and pioneering vision for fashion. 2019 begins with the 34th addition of one of the World’s most renown film festivals, Sundance, which takes place each year accepting film submissions from all around the globe. November 28th was the day 112 feature films were announced to be screened, and we at Creativity Media are ecstatic to reveal two of our own succeeded the submissions. Director and screenwriter Alex Holmes’ Maiden tells an incredible story sailor Tracy Edwards who, against all odds, skippered the first all-female international crew in the 1989 Whitbread Round the World Yacht Race. Director and Screenwriter, Shola Amoo’s The Last Tree, follows protagonist Femi, a British boy of Nigerian heritage, figure out which path to adulthood he wants to take. This film explores the struggle Femi has adjusting to unfamiliar culture and a new environment, after moving from rural Lincolnshire to inner London to live with his mum. We are very excited for this upcoming Sundance and wish all the best of luck to both Maiden and The Last Tree! 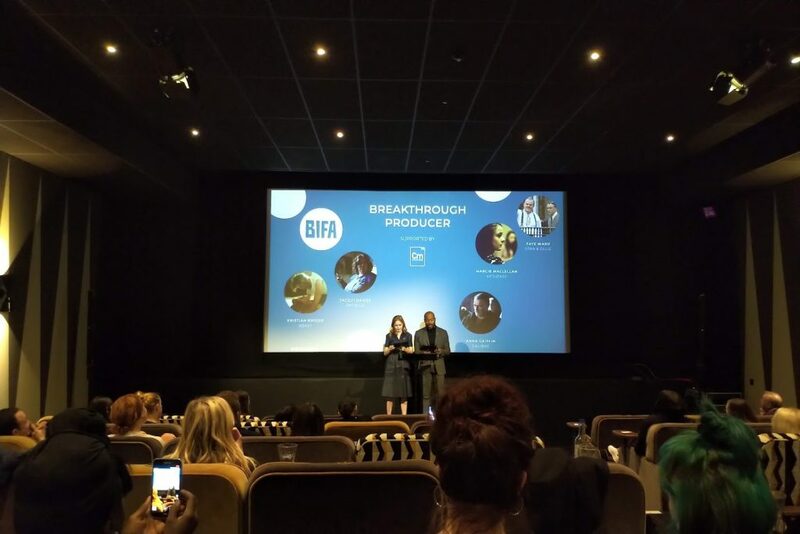 The 2018 BIFA nominations were announced this morning (October 31st) by Arinzé Kene and Ellie Bamber at The Everyman Cinema in Kings Cross. Yargos Lathimos’ “The Favourite”, was quite literally the favourite, taking home 13 nominations. The historical comedy stars Rachel Weiss, Olivia Coleman and Emma Stone, who also feature as nominees in the Best Supporting Actress and Best Actress categories. Burt Layton’s Heist movie “American Animals” followed closely with 11 nominations, andMichael Pearce’s “Beast” with 10 nominations. This year, more than 140 British Films were submitted for consideration, with 40% of the individual nominations being women. The anticipated ceremony will take place on December 2nd at the Old Billingsgate in London. A special shout out to Kristian Brodie, Jacqui Davies, Anna Griffin, Marcie Maclellan, and Faye Ward who were all nominated for the Breakthrough Producer Award sponsored by Creativity Media. All of us here at Creativity Media would like to congratulate all of this years BIFA nominations, and wish them all the best of luck! Calm with Horses out 2019! We are happy to announce that Calm With Horses will start post-finishing January 2019 at Creativity Media. Starring no other than Cosmo Jarvis (Lady Macbeth) and Barry Keoghan (The Killing Of A Sacred Deer), the film tells the story of an ex-boxer, “Arm”, who’s asked to commit his first murder. Trying to balance his already troubled life as father to his autistic five-year-old, Arm starts to question what is right and wrong, putting those who he loves dearly in danger. Talented names to be featured working on the film are Executive Producer Michael Fassbender, and Directors Nick Rowland and Joseph Murtagh (Screen Stars of Tomorrow 2016). We look forward to starting work with them! BIFA’s new talent categories and long lists announced! This morning BIFA revealed the long lists for the four breakthrough categories celebrating the work of the industry’s most influential and upcoming actors, writers, directors and producers. The official nominations will be announced October 31st, where only 5 will be chosen per category. We are extremely happy to see McQueen, Two For Joy, and VS. featured amongst the other contenders, and we wish best of luck to all of them. We are looking for a new post production bookings coordinator to join our fantastic team. McQueen nominated for Screen International Screen Award 2018. Let’s all help out a bit and help McQueen take home Screen International’s Best British Film of the Year ! Last week BIFA officially announced that Creativity Media is to once again sponsor the Breakthrough Producer category at this year’s festival. Keen to find out who the nominees are? We are too! BIFA will release the much anticipated list this Friday (19th October). In 2017 God’s Own Country and Lady Macbeth did amazingly well being nominated in categories such as Best Screenplay, Best Actor and Best Sound. I am not a witch, produced by Emily Morgan and directed and written by Rungano Nyoni, made the final cut and won Breakthrough Producer 2017. Creativity Media, who provided Post Production for I Am Not a Witch, wishes the film all the best for its UK submission for Best Foreign Language Film category, for the 91st Oscars. VS. Reveals 1 Minute clip on Twitter! Yesterday, Link Up Tv offered us a sneak peek at Ed Lilly’s upcoming feature VS. 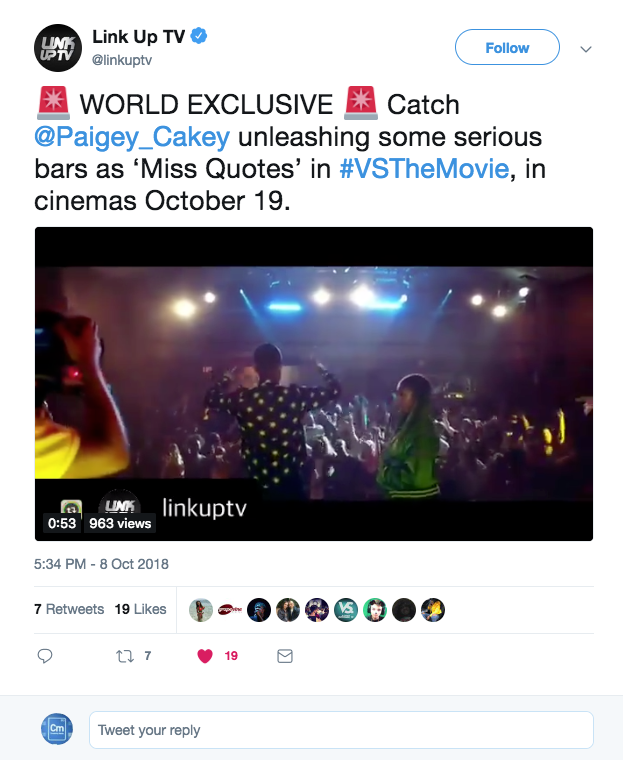 The short clip debuts one of ‘Miss Quotes’ (played by Paigey Meade) many stunning rap-performances throughout the film. We are looking forward to the premiere of this sharp-tongued drama at the London Film Festival which starts tomorrow October 10th! VS. will be screened on Saturday October 13thand Monday October 15th. Indie Drama Two for Joy Featured in Vogue! In an interview with Vogue, the multitalented Sadie Frost, who’s worked as a model, fashion designer, actress and most recently producer for her production company Blonde to Black Productions, talks about her newest film, Two For Joy. Having worked closely with the producer Sadie and having completed full post production on the film, it is an honour to see the film featured in the well-known fashion magazine, and learn about the struggles Sadie had to overcome as producer on the film.